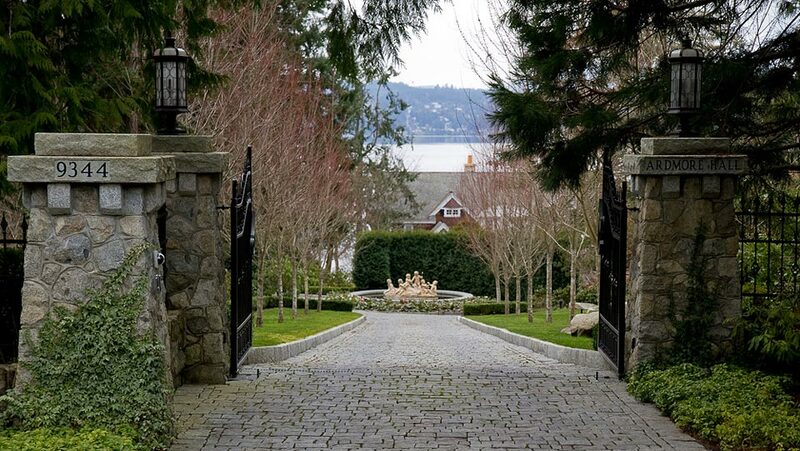 Ardmore Hall | Rusnak Gallant Ltd.
Ardmore Hall is a private estate on a two acre waterfront property on the East Shore of Saanich Inlet. 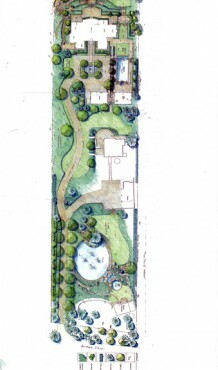 The landscape concept for the Ardmore Hall gardens was the blending of the formality and highly resolved detail of the Hampton Style residence with the natural ruggedness of the West Coast setting. The Client’s request for a ‘Wow’ response from visitors to Ardmore Hall led to the theme of ‘Vegas meets the West Coast’. 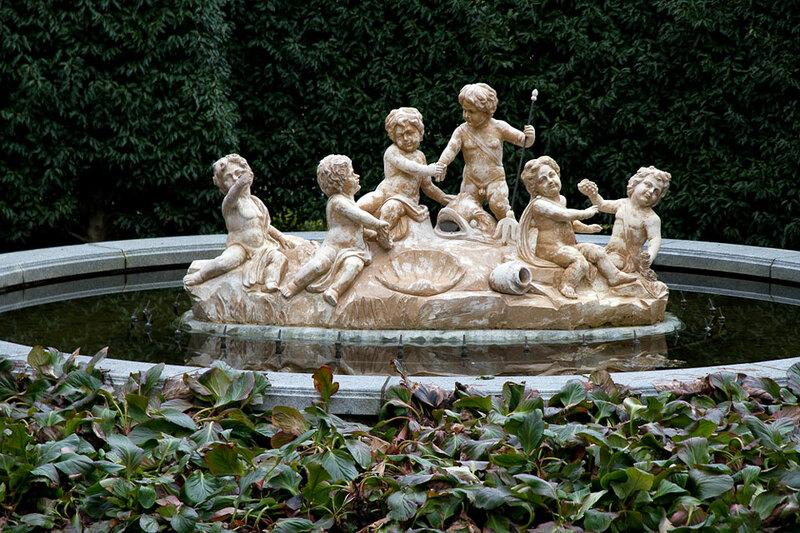 A number of ponds, fountains, waterfalls, sculptures, along with a swimming pool, hot tubs and garden follies were introduced to give the property many points of interest. 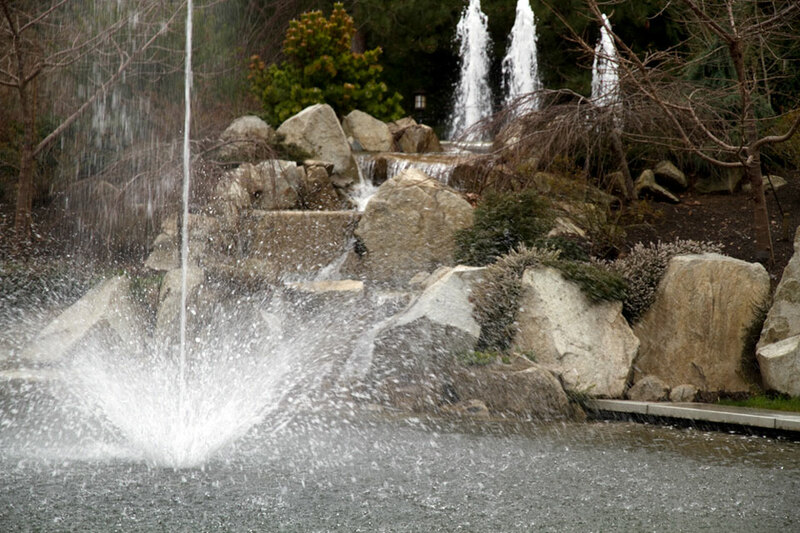 When the water features are quiet, the lush formal and naturalistic gardens provide year round interest. 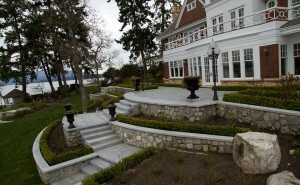 Custom designed and imported granite was used throughout the property. It can be seen capping columns and walls built with local rock. Granite was used for coping around the pool, ponds and hot tubs. The same granite was used to create the feature fountain in the entrance court. 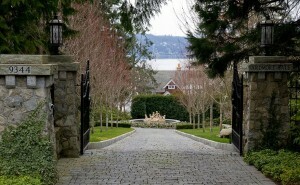 Granite cobbles were designed and laid for pathways and the driveway. 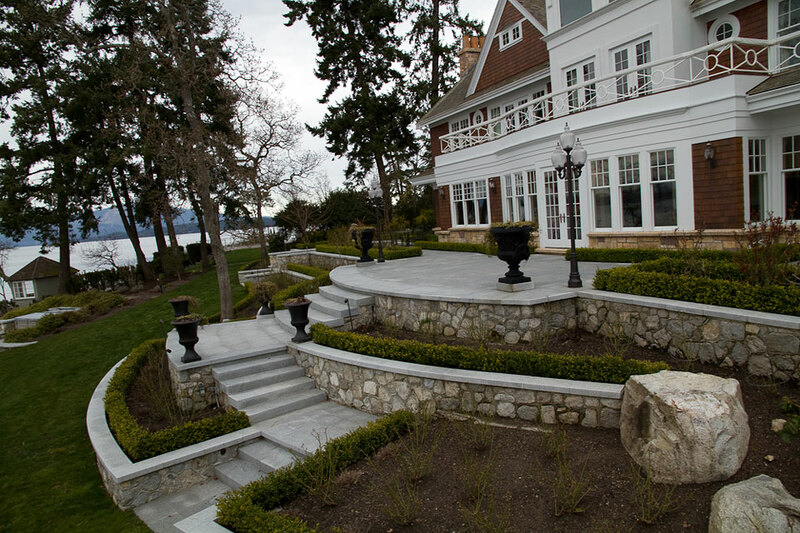 Granite slabs and tiles were used to create stairways and patios. Pennsylvania Bluestone slabs were used for the more naturalistic areas for stepping stone pathways and patios. The gardens of Ardmore Hall are spectacular. They begin with a view down the formal entrance drive, lined with red maples blazing red in the early fall, to the cherub fountain backed by the dark green of a Portuguese laurel hedge. As one moves down through the garden they pass formal plantings of yew hedges backing plantings of early blooming rhododenrons accompanied by magnolias, hostas and spring bulbs. The large pond gardens provide a spectacular display of white blooming cherries, dogwoods and fragrant deciduous azaleas along with the chartruese of euphorbias and rich blues of lithodora and irises. Moving around the laurel hedge one sees the guesthouse garden, a cottage garden of fruit trees and perennials. Below the guesthouse is the main house. The entrance courtyard provides a formal display of white blooming roses and rhododendrons accompanied by evergreen jasmine, irises, yews, etc. The swimming pool is set in a protected corner of the site and is flanked by large palm, banana and evergreen magnolia trees. The background of the small leaf Portuguese laurel hedge sets off this ‘tropical’ look. The waterfront gardens of Ardmore Hall provide the client with a continuous bloom of roses throughout the summer and fall seasons. If the visitor to the garden moves off the main pathways and out to the edges of the garden they will find beautiful naturalistic west coast plantings under the existing Garry oak, cedar, fir and maple trees. These quiet gardens combine a wide variety of rhododendrons, Japanese maples, magnolias, ferns, hardy geraniums, heucheras, cyclamen, spring bulbs etc. to give interest 12 months a year.